Range of colours and flavours available. 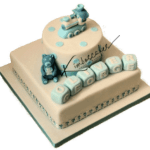 For the younger ones in your family, how about this two tier baby boy birthday cake. 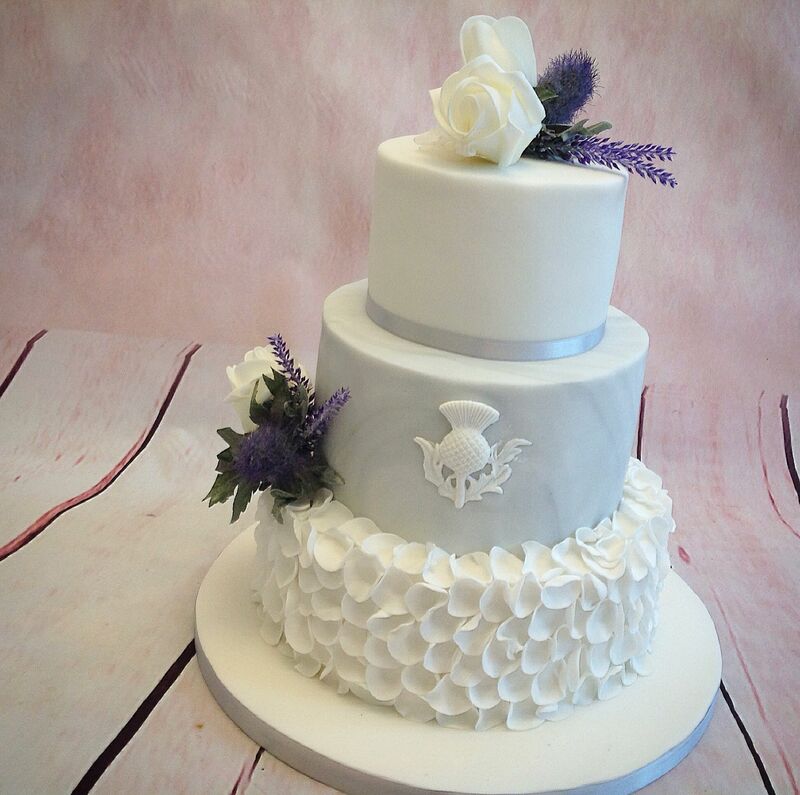 This particular cake is made up of a 10 inch square base tier and a 6 inch round top tier. The base tier is made from our fresh baked vanilla sponge, whilst the top tier is made from our own lemon sponge recipe. The flavour for the base tier is made with real vanilla, and, the top tier is made with real lemon zest and lemon juice for that true authentic tangy zesty flavour. 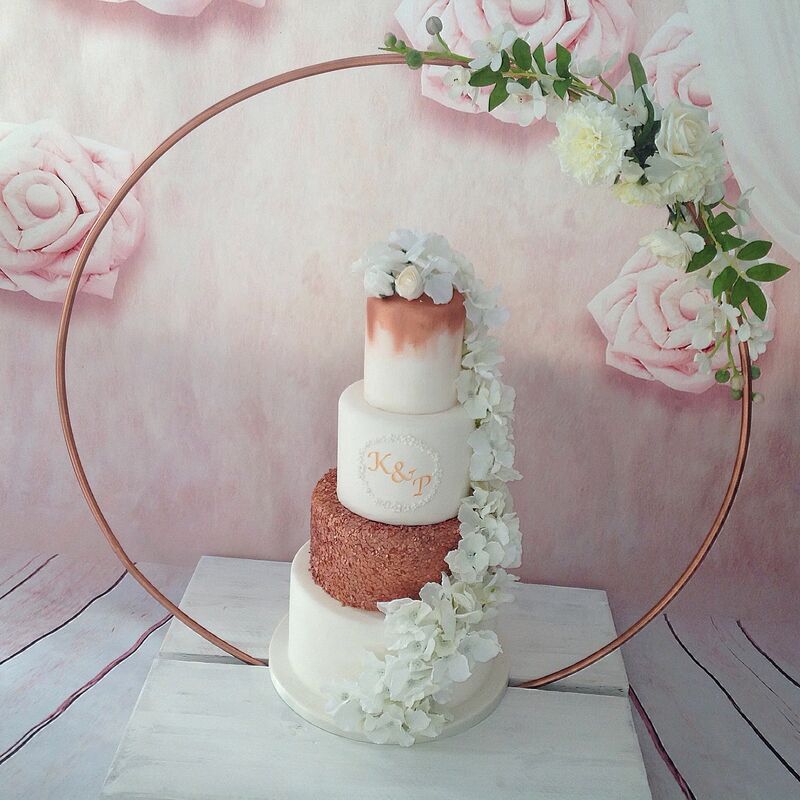 Like all of our cakes, this cake is baked fresh to order in the traditional way, using only the finest freshest ingredients. Baked, shaped and decorated by hand the traditional way. The top tier of this baby boy birthday cake is decorated with blocks on top, spelling out the young boys name. We have also included a handmade teddy bear on the top tier, together with a hand made train and small polka dots. Coordinating ribbon is placed the base of the top tier, whilst the bottom tier has a garland of teddy bears around the base of the cake. 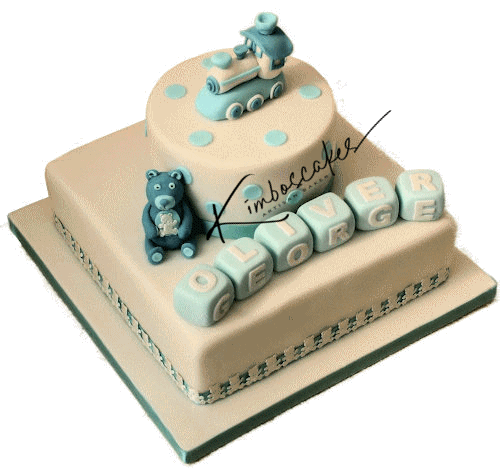 An ideal baby boy birthday cake, which, can also have all the colours changed to suit a baby girls birthday cake. 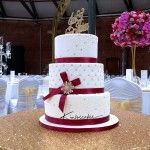 We also deliver all of our cakes in person, or, if you prefer, you can collect from us. Please note the design can be changed to suit your own requirements.